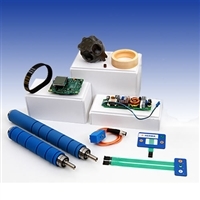 Get the parts you need for your label printer-applicators or label application systems and keep them in top shape with these Spare Parts Kits featuring all the basic replacement parts needed for normal maintenance. Kits are available for the Model 5300, Model 4300, Alpha Compact (right or left-hand versions), and other labeling systems. 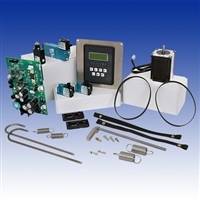 The Herma Model H400 Spare Parts Kit contains all the basic items you need to get your Herma labeling system back online. The Pack Leader USA ELF-50 Wrap-Around Label Applicator Spare Parts Kit contains all the basic items you need to get your labeling system back online. This Spare Parts Kit features all the basic replacement parts normally required including the timing belts, PC board, and the display panel sticker. 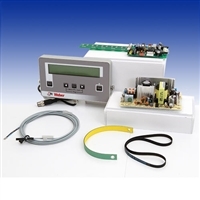 Weber Alpha Compact Left-Hand label applicator Spare Parts Kit features all the basic replacement parts plus the Digital Controller Assembly and CPU Module board. Weber Alpha Compact Right-Hand label applicator Spare Parts Kit features all the basic replacement parts plus the Digital Controller Assembly and CPU Module board. Weber Model 4050E Spare Parts Kit for Weber's Model 4050E label printer applicator. Weber Model 4300 label printer-applicator Spare Parts Kit features all the basic replacement parts plus the Controller Assembly and Core Module board. Weber Model 5300 label printer-applicator Deluxe Spare Parts Kit features all the basic replacement parts plus the HMI Controller and Core Module board. Weber Model 5300 label printer-applicator Spare Parts Kit featuring all the basic replacement parts normally required for on-site repairs.